Worldwide, over 300 million people suffer from asthma, with this leading to nearly 400,000 deaths every year. A new study has shown that asthma sufferers could potentially reduce the chance of suffering an attack by taking Vitamin D supplements in combination with their standard asthma medication. Vitamin D is suggested to have an important role to play, because it helps the immune system deal with viruses and inflammation, both of which can exacerbate the conditions of asthma and lead to potentially fatal asthma attacks. Whilst Vitamin D is produced by our bodies when we are exposed to sunlight, often asthma sufferers in cloudy climates such as the UK, don’t get enough natural Vitamin D this way, as explained by Professor Adrian Martineau, one of the lead researchers, when speaking to The Telegraph: "In the UK, sunlight only contains enough UVB to stimulate production of vitamin D in the skin between April and October – in Winter and early Spring, it won’t provide any vitamin D. UVB is also a risk factor for skin cancer of course – so from a safety perspective it makes sense to be careful with exposure to sunlight, and keep vitamin D levels up during winter and early spring by taking a regular supplement." a 30 per cent reduction in the rate of asthma attacks requiring treatment with steroid tablets or injections - from 0.43 events per person per year to 0.30.
a 50 per cent reduction in the risk of experiencing at least one asthma attack requiring Accident and Emergency Department attendance and/or hospitalisation - from 6 per cent of people experiencing such an event to 3 per cent. Lead researcher Professor Adrian Martineau said: "These results add to the ever growing body of evidence that vitamin D can support immune function as well as bone health. 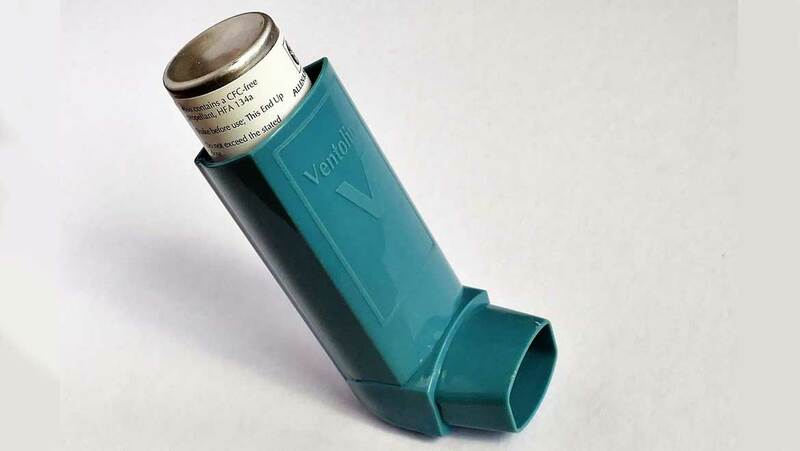 On average, three people in the UK die from asthma attacks every day. Vitamin D is safe to take and relatively inexpensive so supplementation represents a potentially cost-effective strategy to reduce this problem." Dr David Jolliffe from QMUL and co-author of the paper, outlined the next steps for the research, saying: "Our results are largely based on data from adults with mild to moderate asthma: children and adults with severe asthma were relatively under-represented in the dataset, so our findings cannot necessarily be generalised to these patient groups at this stage. Further clinical trials are on-going internationally, and we hope to include data from them in a future analysis to determine whether the promise of today's results is confirmed in an even larger and more diverse group of patients."